The Cell918 Mariner is a marine antenna working on 900/1800/2100 MHz GHz conceived for GSM and 3G access. The radiating element is made of Teflon® PCB to guarantee high power and low losses and it is protected by a glassfibre tube. 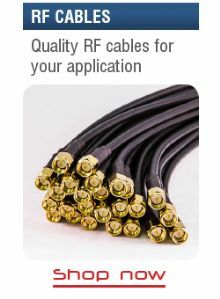 The Cell918 MARINER is supplied with RG 58 cable directly connected and SMA-Male connector. The mount is deck mount.